Occasionally, we are asked by clients about outdoor solar lighting systems. On the surface, solar lighting seems like a great option: they can be inexpensive and are easily installed, requiring no digging or wires. Unfortunately, these seem to be the only positive aspects. 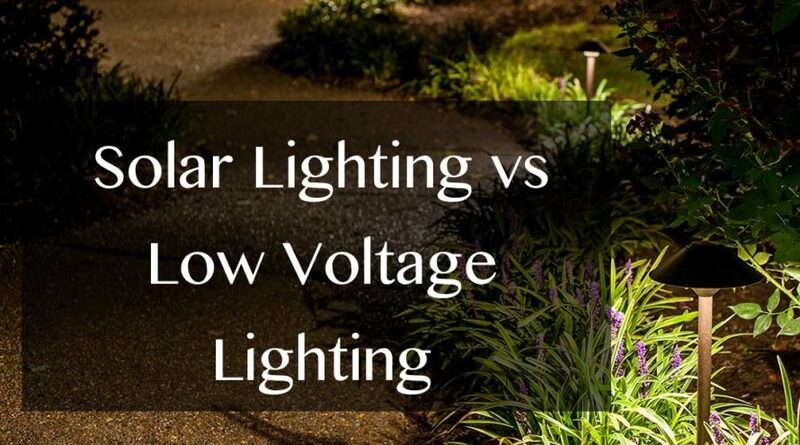 The unfortunate truth is that most solar landscaping lights do not even come close to the durability, brilliance, and energy outputs of a low-voltage LED lighting system. The vast majority of solar landscape fixtures are constructed poorly with cheap, flimsy plastics and lamps with extremely low light output. The unit of measurement used to determine the brightness of light is called a lumen. 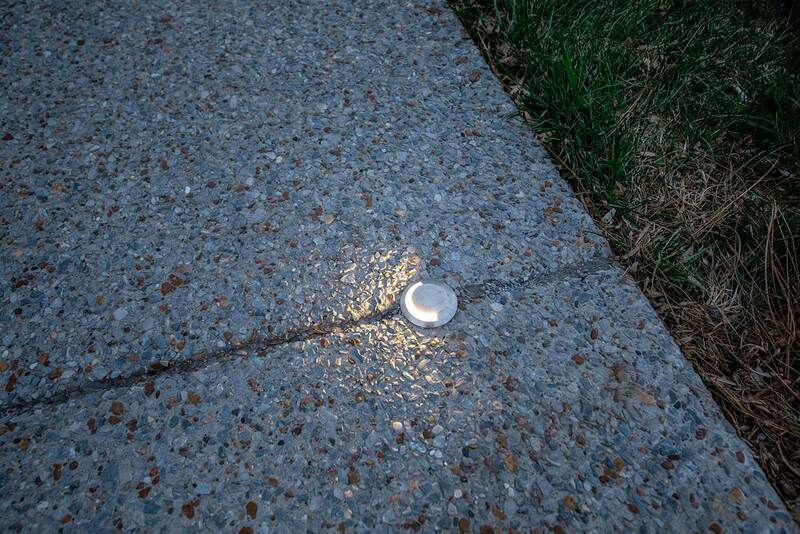 The average solar powered path light gives off 1 lumen of light. This is outstandingly low - the average 3 watt LED low-voltage path light gives off 350-400 times more lumens than that. Not only is the light output extremely low, these lamps also give off a harsh, blueish-white light, registering extremely cool on the kelvin temperature scale. 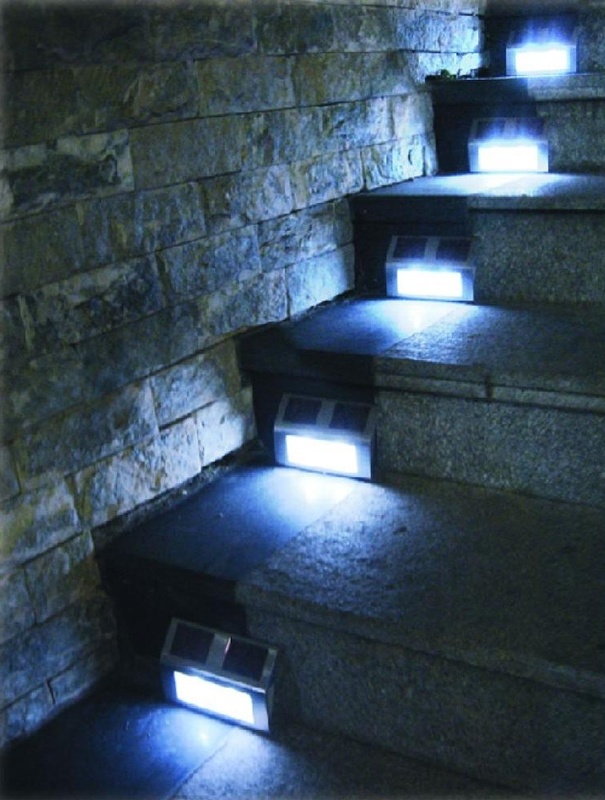 Low-Voltage LED Stair Lighting - "Warm Temperature"
Solar lights get their energy not from low-voltage electricity, but from solar panels attached to the fixture. Unfortunately, these solar panels are fixed and unmovable. To be able to gather enough solar energy to power the lamp for an entire night, the panel would need to be in full sunlight for the entire duration of the day. 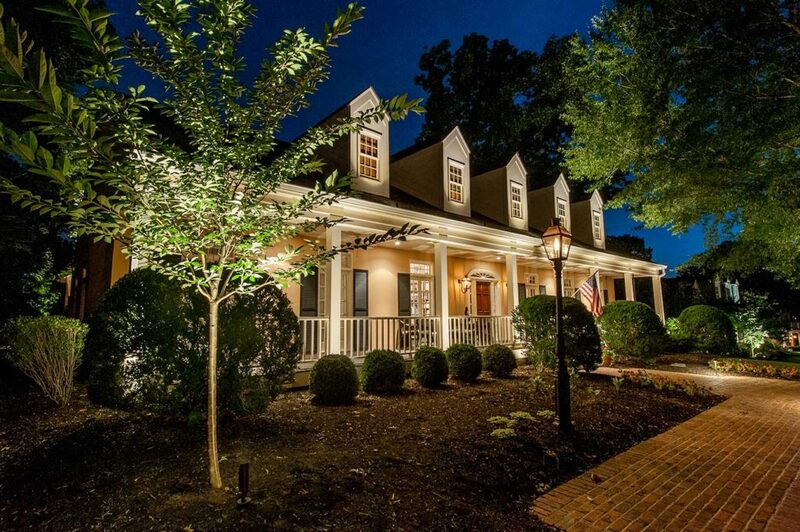 This greatly inhibits where landscape lighting can be placed, especially in dark, shaded areas of the home which are the most desirable places to put landscape lighting. Solar panels also can only collect light during the day and when the sun is bright and uncovered by clouds. 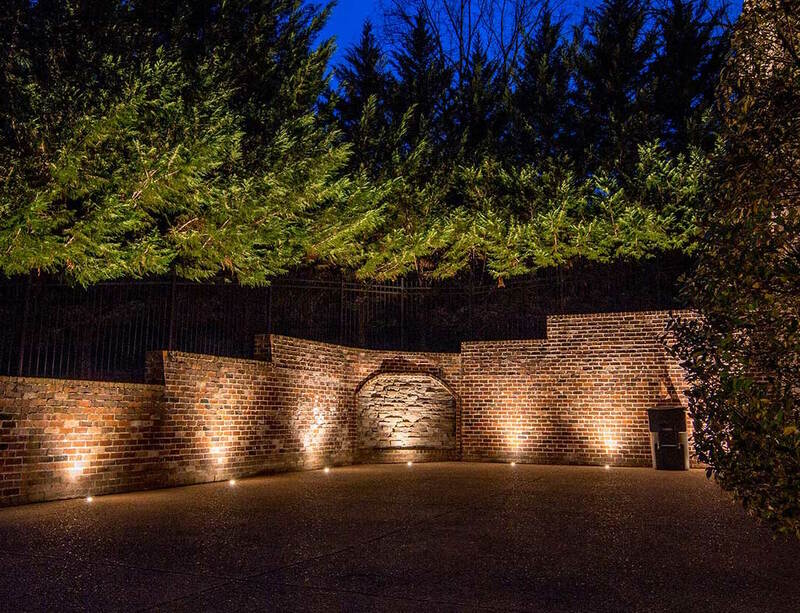 Rainy, overcast days such as we experience in Tennessee through the fall and winter months, months which you would especially like outdoor lighting for your home, would leave your home dark. The unpredictability of the solar panel's ability to collect energy and consistently light your property is one of the biggest deterrents we see in obtaining one. 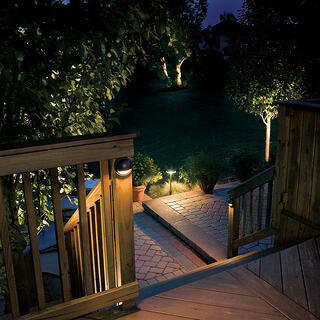 Even the most expensive and highest quality solar lights can't compare to a custom designed outdoor lighting system. These fixtures might use high quality LED lamps, but can only produce focused beams of light with only enough energy to shine up to 400 lumens, only equivalent to a 40W incandescent bulb. The problem still remains, however, that light energy can only be collected at certain times and in certain conditions, and there is no guarantee the lights will consistently be powered throughout the night. 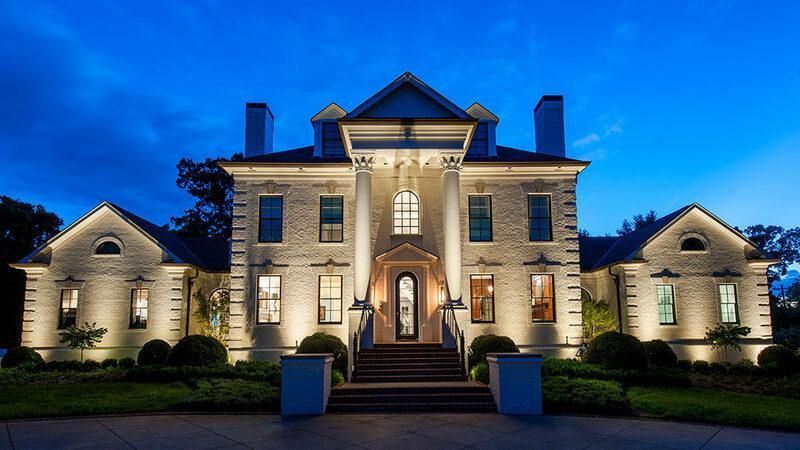 A professionally installed, LED low voltage lighting system takes the benefit of solar lighting, and combines it with the flexibility of custom creating the perfect lighting design for each client's home. The high quality LED lamps last for decades and come in any color or hue. This enables our lighting designers to design an outdoor lighting system for a property based on where the light should be placed to maximize aesthetic and security potentials, instead of where it would have to be be placed in order to get enough energy to light itself.